Ashen and its world are undeniably appealing, which is why we had to share a few more videos of our PC version. Descending into the dungeon of the Matriarch was no walk in the park, as it took us several tries to reach the bottom. The number of enemies is pretty important, most of them are deadly and you can't see much in there. The bright side is we managed to get quite a lot of money to upgrade our weapons and it allowed us to wipe the floor with the local boss. "The bright side is we managed to get quite a lot of money to upgrade our weapons and it allowed us to wipe the floor with the local boss." Ahh... the Dark Souls experience, grind and die, grind and die some more, grind and die even more, then wipe enemies and bosses. 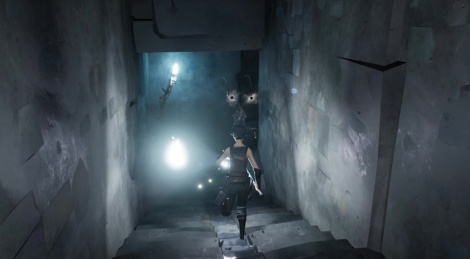 Ashen has gotten a lot of great reviews, has a MetaCritic of 84 (PC) and 81 (XB1). Been meaning to jump into Ashen, Below and Gris, but busy with other games atm - planning on doing all 3 in January. I think I need to find a way to survive without work, sleep and food next year if I am to play all the good games that come out. and I haven't even played god of war, spider-man, Detroit, read dead 2 yet.